Today’s post looks at the recent headlines garnered by the (relatively) massive fines being given to serious corporate players by the Serious Fraud Office (SFO) in the U.K. This marks a drastic change in approach, as we shall see, and that may be down to the adoption of an American creation known as a ‘Deferred Prosecution Agreement’ (hereafter DPA), which has already been discussed in Financial Regulation Matters. The focus of the post is to show how the SFO is becoming a genuinely powerful and influential regulator for the financial sector and, ultimately, that it must be supported in its endeavours, because of its capabilities to reduce transgressions via the only (unfortunately) palatable form of correction. The SFO has been in the business headlines recently because of a number of high-profile agreements that have been reached under the possibilities afforded by the adoption of the DPA. A DPA became a tool for the SFO in the U.K. in 2014, and was introduced to the arsenal by the Crime and Courts Act 2013. Essentially, the agreement ‘allows for a prosecution to be suspended for a defined period provided the organisation meets certain specified conditions’ and can be used to punish ‘fraud, bribery, and other economic crime’. These agreements, which are commonly referred to as ‘settlements’, operate under the supervision of a Judge and apply to corporate bodies, never individuals. The advantages of using a DPA as a form of correction are many, and include reducing costs of litigation, and fostering transparency. However, there is a massive issue attached to the usage of DPAs, and that is that they do not go far enough, because often the corporate entity can settle without admitting guilt which, depending on their crime, may be particularly inappropriate and distasteful. There is a code of practice attached the usage of DPAs, and the public prosecutor must consider a wide range of factors before deciding whether utilising a DPA is appropriate for the circumstances. However, there is a deeper issue that emerges from this use of DPAs, and the SFO are aware of it. The SFO has utilised the DPA on a number of occasions since being granted the power to do so, with three notable instances. We saw in Financial Regulation Matters the largest instance of its usage, with the massive £497 million fine that was given to Rolls Royce for systemic corruption and bribery. Then we saw the £129 million fine given to Tesco for misrepresenting its figures. Finally, there is an understanding that Barclays and GlaxoSmithKline are currently under investigation by the SFO (but Barclays’ consistent approach of fighting punishment, both in the U.S. and the U.K. means that this story will likely have many more twists and turns before a conclusion is reached) with DPAs being on the table as a potential corrective tool, as well as a cross-border investigation into Airbus, which also may result in a massive DPA. Whereas these fines are not record fines, they do mark the changing of a long-held understanding that it has been difficult for the U.K. to actually get these large entities to pay fines in the past, with the collapsing last year of a trial aimed to find six brokers guilty of fixing the LIBOR rates. David Green, the Director of the SFO, has been at pains to state that using DPAs should not be considered the ‘new normal’ when it comes to the power of the state to punish wrongdoing in the financial sector. He states, quite rightly, that the usage of a DPA is at the SFO’s discretion and that its use will be correlated to the amount of cooperation displayed by the accused corporate body – less correlation and the body can expect to be punished much more severely. It has been noted, however, that the upcoming Barclays case will be a massive indicator of the independence and mandate of the SFO because the case involves examining the business of the Qatari investors, the same investors who have recently pledged to invest £5 billion in the U.K. post-Brexit – the obvious question is will the SFO want to investigate those who are pledging their allegiance to a country, and more realistically to a government that is seemingly hell-bent on prioritising the perception of prosperity above all else? 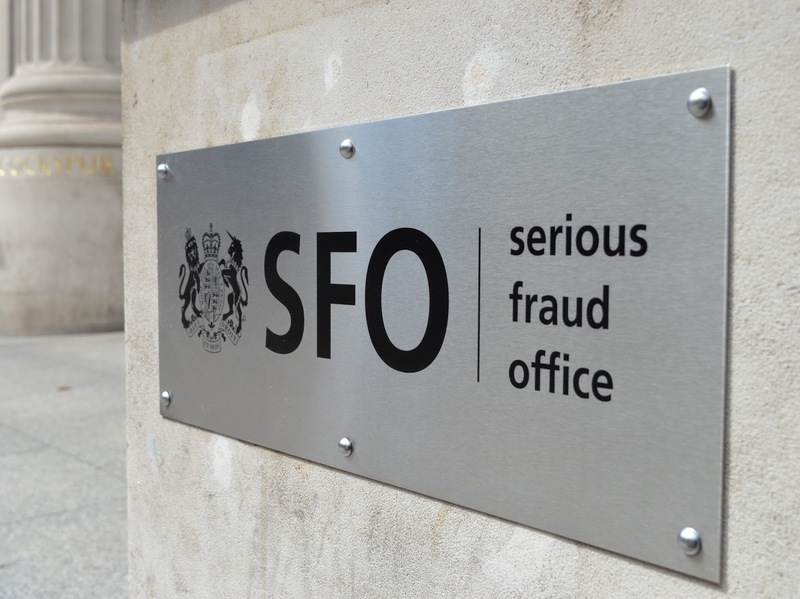 The SFO has emerged from a barrage of criticism, some of which emanated from the then-Home Secretary Theresa May (who wanted to merge the SFO with the National Crime Agency), to represent the forefront of the U.K.’s fight against wrongdoing. However, Green is leaving his post in 2018 after a six-year term (Green was personally responsible for the push to bring in DPAs to the arsenal) and the OECD has recently called for the U.K. Government to ensure the independence and funding of the SFO long into the future. The OECD highlight the fact that the SFO has seen its funding slashed from £52 million into 2008 to just £34 million last year, and that if it needs extra funds to pursue an investigation, it must seeks ‘blockbuster’ funds from the Treasury; this arrangement is quite rightly condemned by the OECD. There is a ‘shakeup’ of the regulatory framework on its way based upon the fact that London is increasingly becoming the ‘global money laundering centre’, an issue which was previously discussed in Financial Regulation Matters, and this may result in a different approach being taken which would see even more resources taken away from the SFO – but this would be a massive mistake. This author, for one, has been massively critical of the lack of appetite displayed for the criminal convictions of the financial elite. However, as Ben Morgan, Joint Head of Bribery and Corruption at the SFO, recently asked what, in reality, are the defined benefits of pursuing a criminal trial against these bodies? There is merit to this viewpoint, because as an organisation that has very limited funds, what can be gained from taking the chance that a body will not be convicted by a court, when the SFO could have settled for a massive amount previously? Whilst distasteful to allow criminals to settle for a financial penalty when, in any other circumstance, one would be criminally prosecuted, it represents the reality of the situation. In reality we have the situation of an organisation who is trying to make a positive impact in the financial sector being underfunded and having their future threatened. In reality we have the situation of organisation being pitted against some of the most resourceful entities on the planet, and who naturally utilise some of the most effective legal minds in the world. With that in mind, it is actually the case that the SFO is one of our most useful assets in the fight against illegality in the financial sector, and as such needs to be supported. It is advisable to pay close attention to the actions of the government in this regard – specifically with regards to Qatar and Barclays – as its actions will be a clear indicator as to its sentiments towards really punishing wrongdoers in the financial sector.